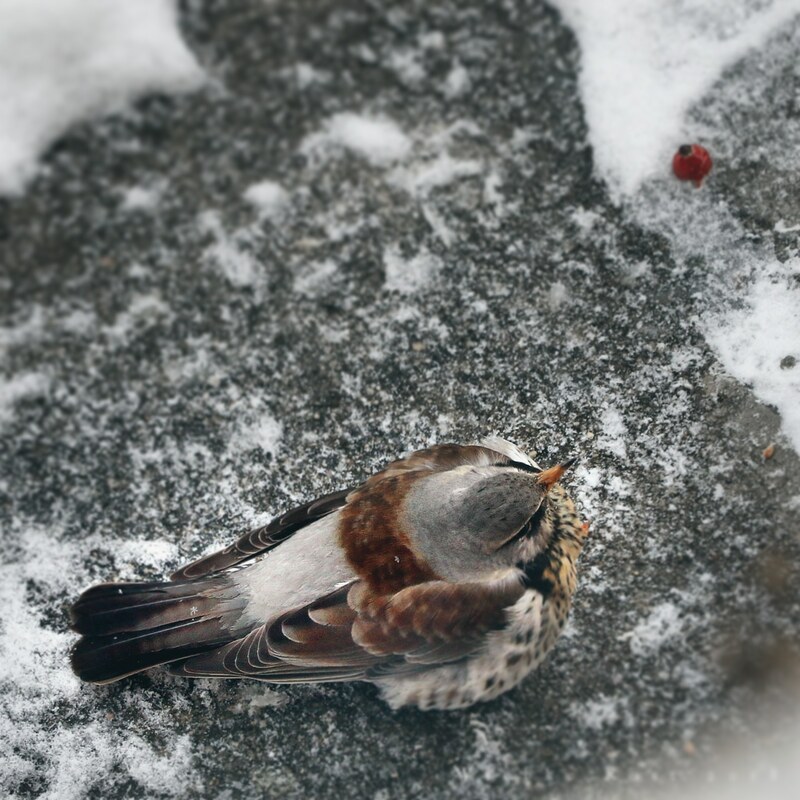 A field fare is spending the end of the winter here. During the winter time it eats rose hips, berries and fruits left on shrubs and trees. Normally these birds hide in forests and bushes along fields, but recently more and more of them are seen in gardens and parks. They are a bit larger than our native song thrushs and common blackbirds to which they are closely related. The first time we saw it on our fence post, we were quite surprised. It behaves quite fearless and walks along the ground, so that it would be an easy catch for the cats in our neighborhood.